Exclusive Photos! 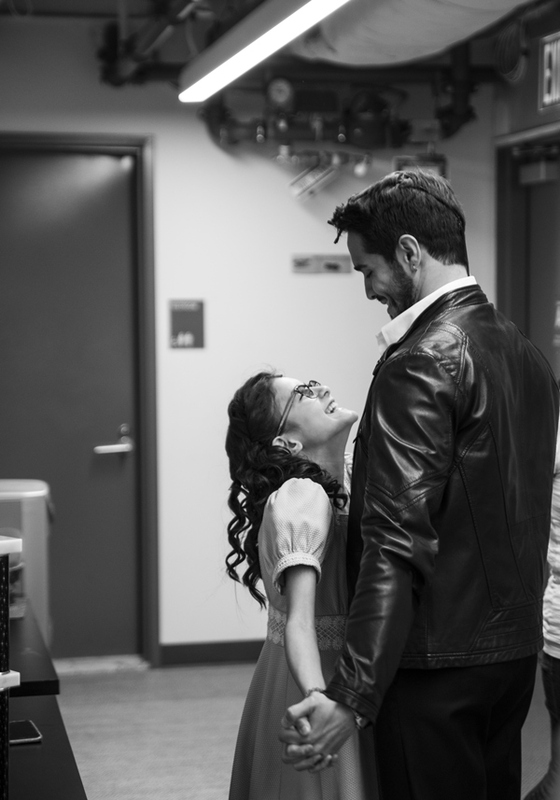 Join the Party Backstage at Broadway's Explosively Fun Musical On Your Feet! 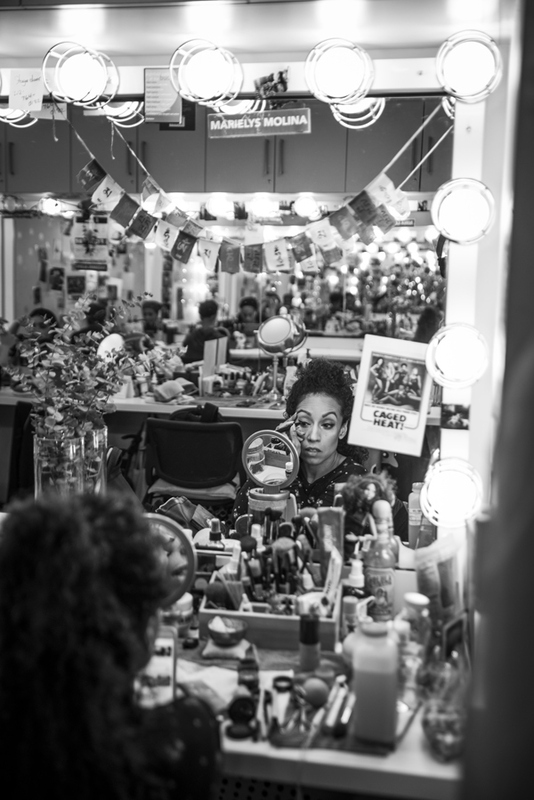 Photographer Jenny Anderson (who shoots Tony Awards parties like no one else in town) brings BroadwayBox backstage for an exclusive new series capturing Broadway companies getting ready to take the stage. 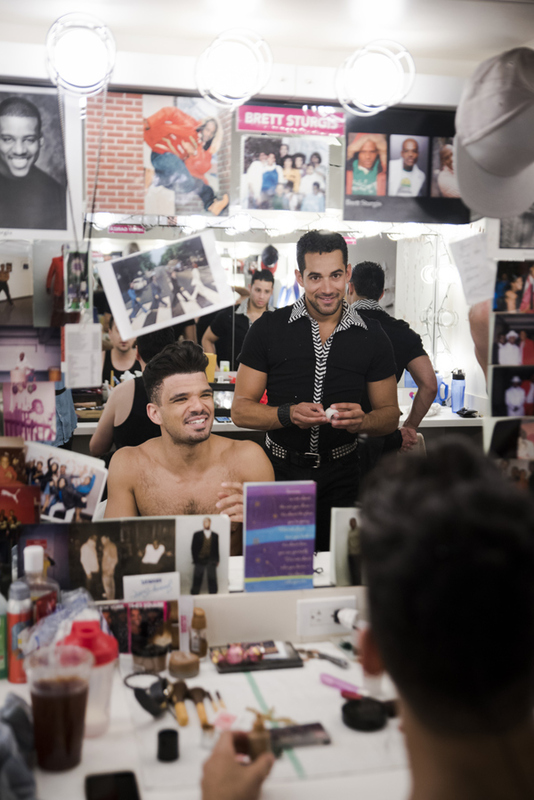 Recently Jenny was backstage at Broadway’s Marquis Theatre, home to the electrifying Gloria and Emilio Estefan bio-musical On Your Feet!, to bring you behind the scenes at our May Show of the Month. 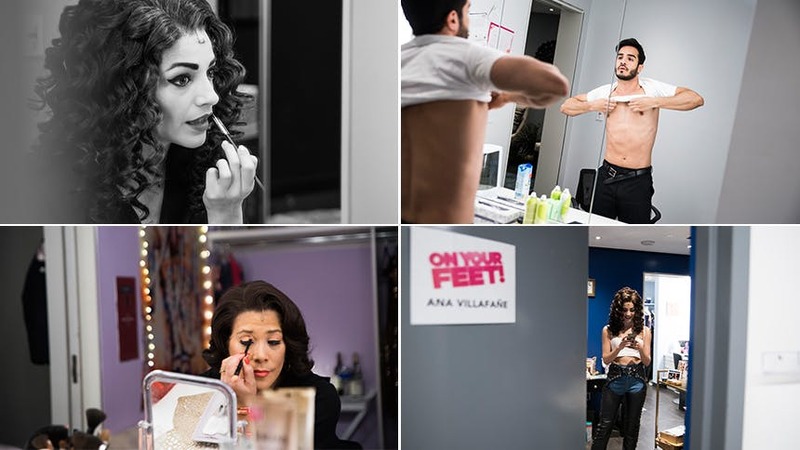 It’s a Wednesday and fierce AF star Ana Villafañe begins her transformation to Grammy-winning superstar Gloria Estefan. 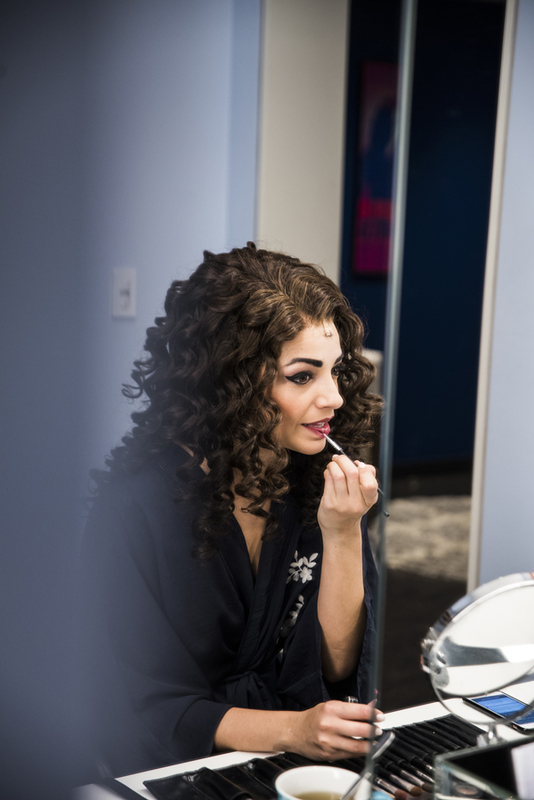 After starring in the Chicago production, Ana made her debut as Gloria, and has been leading the production since 2015. Next, we jump over to Ektor Rivera’s dressing room to see how his pre-show is coming along. The Puerto Rican musical theatre star makes a killer Broadway debut as Gloria’s husband and producer, Emilio Estefan. #ThirstTrap: A shirtless fantasia in six scenes. Young star Amaris Sanchez looks over lines as she gets her hair done. 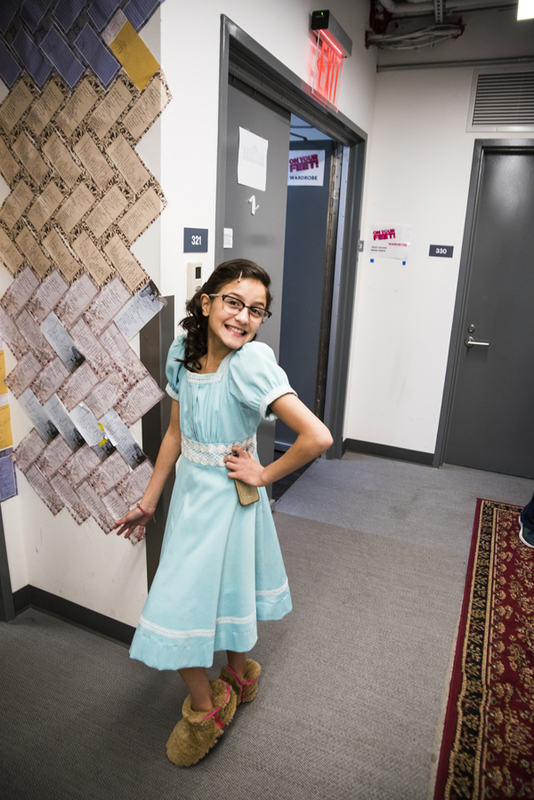 Illinois’ own makes her B'way debut as Little Gloria. Nearby Eduardo Hernandez (who does a mean conga!) gets his hair done. The adorable Eduardo won the 2014 Latin Dance Cup and made it to the semi-finals of America’s Got Talent. 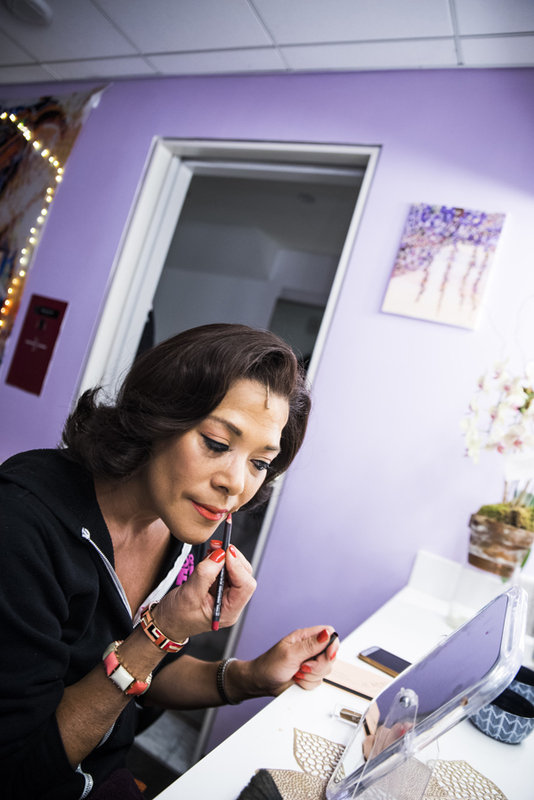 The fabulous Doreen Montalvo (Drama Desk winner for In the Heights) gets her hair and makeup just right to take the stage as Gloria’s formidable mama, Gloria Fajardo. Over in the ensemble male dressing room, the guys stretch and get into costume as music plays and laughs are shared. Likewise, it’s crunch time in the ladies’ dressing room. Cover girl! Amaris strikes a pose now that her full hair and costume are in place (minus the slippers, obvi!). Checking back in with On Your Feet! star Ana. 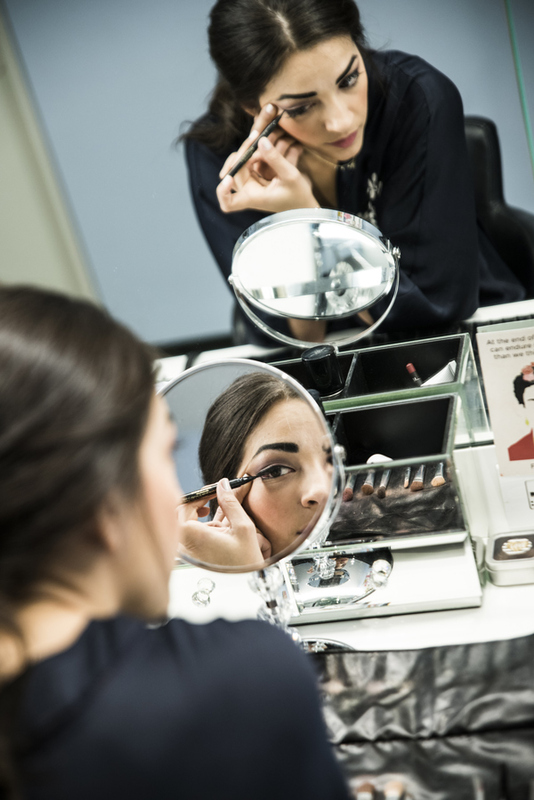 The big, full wig is on and she makes finishing touches to her face before jumping into the first costume. Once the look is complete, Ana begins her pre-show stretch. She has a lot of singing and dancing ahead of her this afternoon. Over in his room, Ektor puts his mic in place and then heads down to the stage. Before places, Ektor and Amaris share a laugh and a hug. Cue the "aw". Next the team takes a moment for a pre-show prayer circle. Then it’s time for places! The two Glorias, Doreen and Ana, walk to the wings together. See them and the entire company live at the Marquis Theatre.